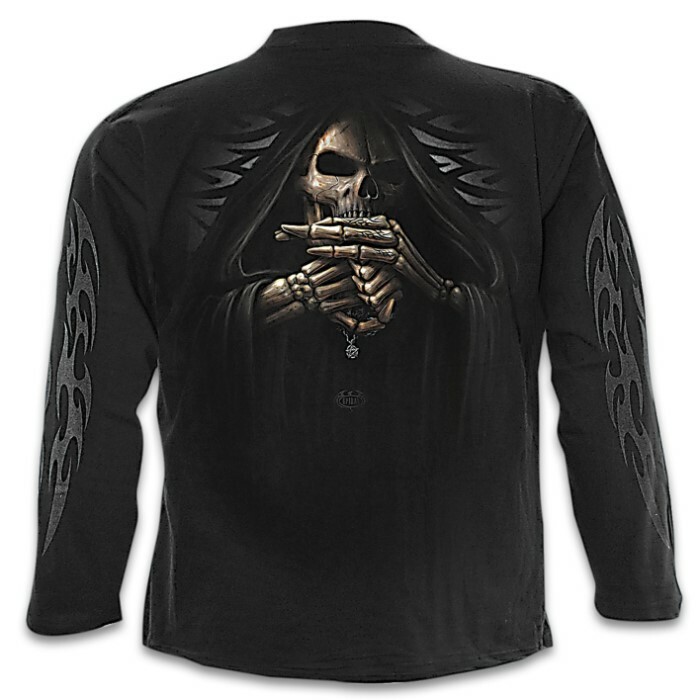 Bone Finger Black Long-Sleeve T-Shirt - Original Artwork, Front And Back, Jersey Material, Skin Friendly Dyes | BUDK.com - Knives & Swords At The Lowest Prices! 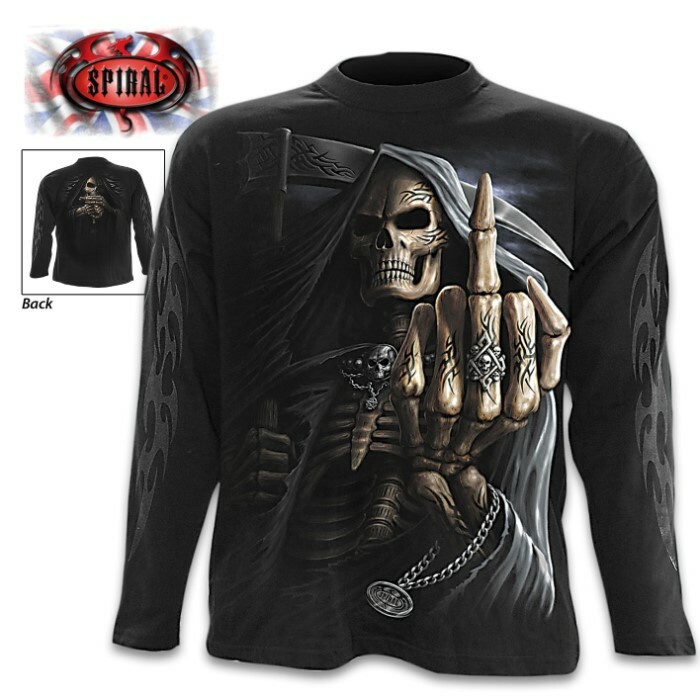 This Grim Reaper skeleton comes from out of the shadows with his tribal engraved middle bone finger raised in defiance. 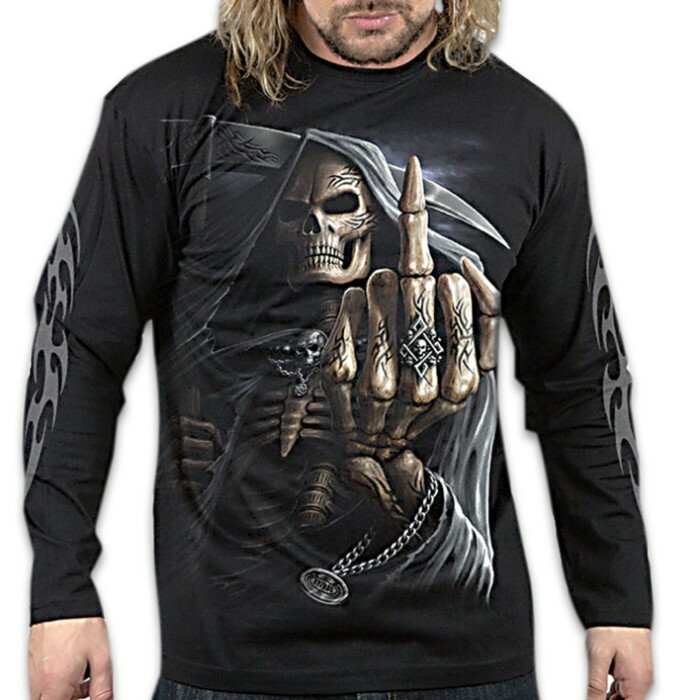 The back print shows the reaper cracking his bony knuckles. The original artwork is printed on high quality 100-percent cotton jersey material using skin-friendly, Azo-free reactive dyes. Add this officially licensed long-sleeved t-shirt to your closet and you’ll find yourself wearing it all the time!